There is no doubt that the airplane now is the fastest and most popular way. 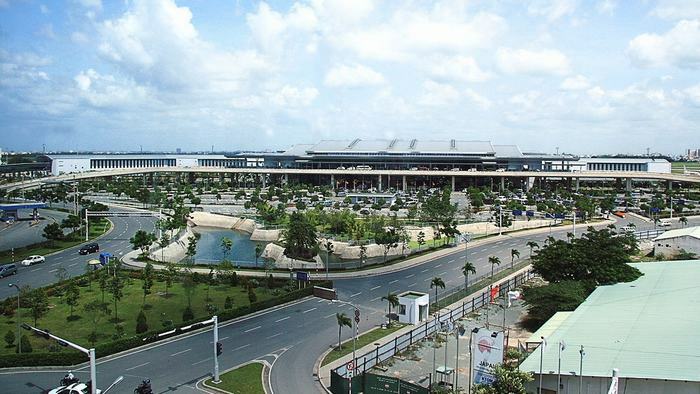 To meet the demand of passengers, Vietnam offers a wide range of airports and airlines as well. Keep reading for more details. It is the largest airport in Vietnam which serves passengers in Hanoi and most of the northern provinces. Located in Soc Son district, Hanoi, the airport provides thousands of flights to many different places around the world. At present, Noi Bai airport is separated areas for domestic and international flights. The main airlines in the airport include Vietnam Airlines, Vietjet Air, and Jetstar Pacific Airlines. 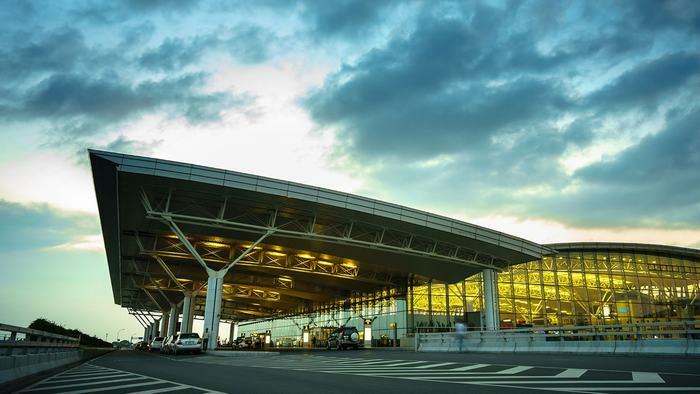 Located in Ho Chi Minh City, Tan Son Nhat International Airport is the second biggest airport in Vietnam but has the largest customer traffic, up to 20 million visitors a year. There are four domestic airlines and 45 international ones offering flights to Tan Son Nhat Airport. Currently, the airport is being planned to expand when building T3 station to increase capacity to 50 million passengers per year. The total adjusted planning area is 791 ha, expected to be operational by 2025. Located in Hai Chau District, three kilometers from downtown Da Nang, Da Nang International Airport is the 3rd largest airport in Vietnam. Currently, there are four domestic airlines and 12 international airlines that have flights to this airport. 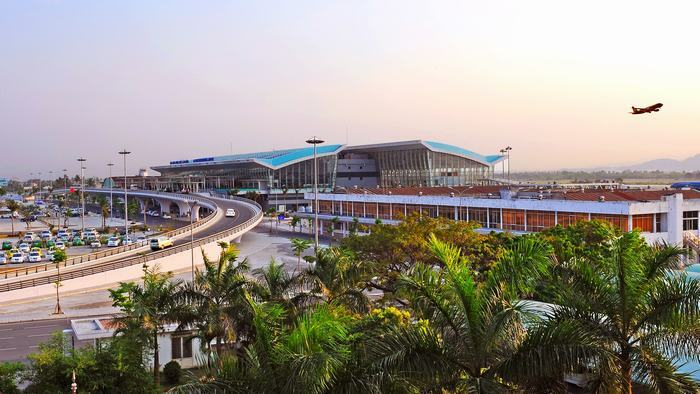 With more than 200 flights per day, Da Nang airport facilitates connection with major transit stations of Asia and in the world. Built in Duong To Commune, about 5 kilometers from Duong Dong Town, this airport is an international trade lane of Phu Quoc Island and other places in the South and Mekong Delta, especially serves needs for tourists traveling there. Phu Quoc International Airport went into operation in the first phase from 2012 with a design capacity of about 2.6 million people annually. In 2017, the airport welcomed nearly 3 million visitors, exceeding the design capacity. 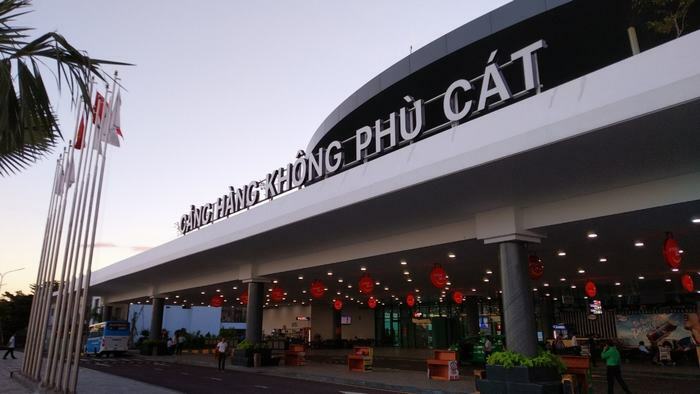 There are also Phu Bai International Airport in Hue, Cam Ranh International Airport in Khanh Hoa, Vinh International Airport in Nghe An, Can Tho International Airport in Can Tho, and Cat Bi International Airport in Hai Phong. Currently, in Vietnam, there are thirteen domestic airports. 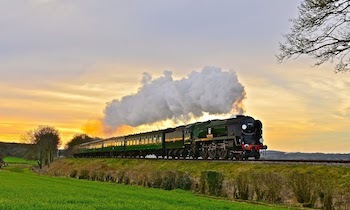 In this post, we will introduce to you some of the most popular ones. Phu Cat airport is located in Phu Cat district, Binh Dinh province, 35 km northwest of Quy Nhon city center built by the US army in 1966 for military purposes. The Phu Cat Airport terminal is fully equipped with modern equipment with a 1.5-story design including ground floor and mezzanine floor. The ground floor area consists of a passenger check-in hall, a security inspection area, functional rooms, and a service area, luggage storage area and lost baggage handling. The mezzanine area of the 1284m2 area is an isolated area (including guest rooms C, VIP, business areas of non-aviation services, dining, and souvenirs). 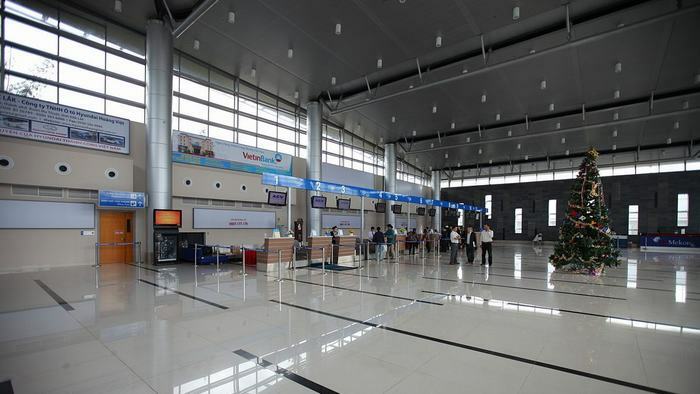 Dong Hoi Airport is located in Loc Ninh Commune, Dong Hoi City in Quang Binh Province. The airport has a runway with 2400 meters long and 45 meters wide. There are four aprons in the airport which exploits A320, A321, and equivalent aircraft. The passenger terminal is where the passenger services and commercial activities take place, with a designed flow of about 500,000 guests per year. Buon Ma Thuot airport in Dak Lak province is located about 8 kilometers Southeast of downtown Buon Ma Thuot. The airport has one runway with 3000m long and 45m wide and one parking lot having enough space for five aircraft parked at the same time. Buon Ma Thuot airport can handle 860,000 passengers per year and is exploited by four airlines including Vietnam Airlines, Vietjet Air, Jetstar Pacific, and Bamboo Airways. 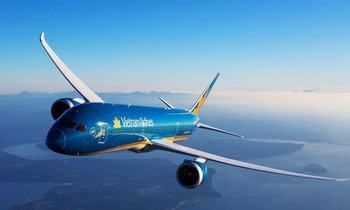 Vietnam Airlines is the first national and also the biggest airline in Vietnam. 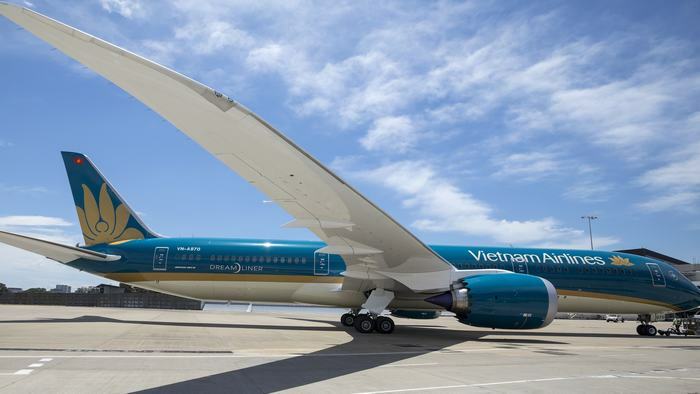 Currently, Vietnam Airlines uses advanced technology, fuel economy, and environmentally friendly aircraft such as Airbus A350XWB, Boeing 787-9; and continuously improve the quality of service to meet the increasing needs of customers. After joining the Sky team global airline alliance in 2010, Vietnam Airlines' route network has expanded to more than 1000 destinations worldwide. Vietjet Air is a private airline to participate in the air transport market in Vietnam, licensed to operate since December 2007. 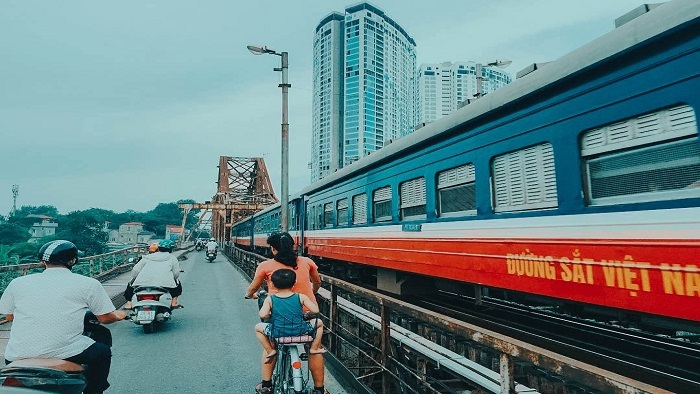 Vietjet Air currently operates 14 domestic flights throughout Vietnam and five popular destinations in Asia including Bangkok, Singapore, Siem Reap, Seoul, and Taipei. 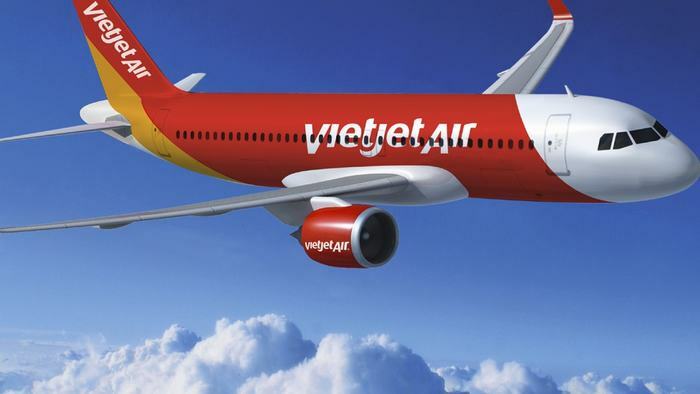 In July 2014, Vietjet Air joined the global distribution system, connecting with 446 airlines to expand its global network. 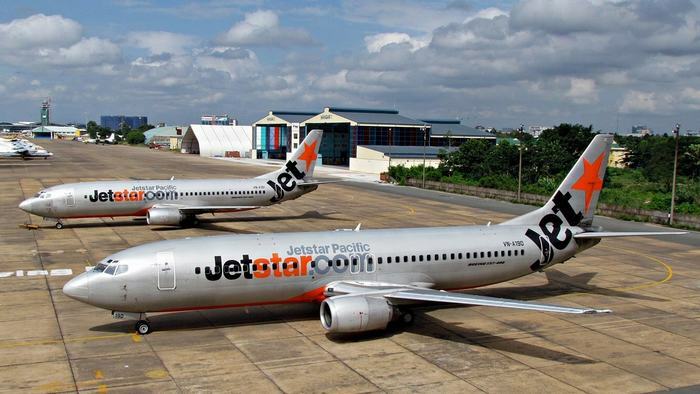 Jetstar Pacific Airlines was established on June 15, 1991, being the first private airline in Vietnam to allow foreign investment in the operation of domestic aviation. Since 2013 Jetstar Pacific has changed the entire aircraft, switched to operate entirely with Airbus A320. Jetstar operates more than 5000 flights per week with more than 85 domestic and international destinations in New Zealand, Asia-Pacific, and Australia. 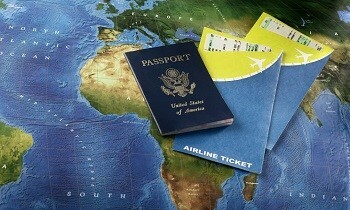 We hope that with our post above, your traveling in Vietnam will become easier and more convenient. You can visit our website to get further information about Vietnam's famous destinations and useful travel guides. Do not hesitate to contact us if you have any questions. Have a safe trip!